Ted Baker, a leading lifestyle brand has recently launched a new store in the United Arab Emirates (UAE). The new 1,900 sq. 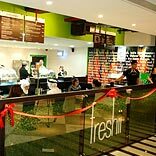 ft. outlet is located at the Deira City Centre shopping mall in Dubai. Ted Baker, a leading lifestyle brand has recently launched a new store in the United Arab Emirates (UAE). The new 1,900 sq. ft. outlet is located at the Deira City Centre shopping mall in Dubai. The store will showcase a broad range of menswear, woman's wear including accessories, fragrance, skinwear, footwear, eyewear and watches. Originated in Glasgow, United Kingdom,Ted Baker was founded in 1987. The brand has global footprint via stores in the UK and the USA and is also present in leading department stores. In 2006, the company signed territorial license agreements and initially launched stores in Hong Kong, Singapore and Dubai. In 2007, the company continued its expandsion in the Hong Kong, Singapore, Bangkok with three stores in Kuala Lumpar and two each in Dubai and Jakarta It also has presence in Taiwan and Bangkok. About Us:Digiperform looks forward to expanding presence on a pan-india..
Start a profitable business in the market of cryptocurrencies, ICO..